Our Japan holiday packages offer you unique experiences in Japan. Whether you want to do a self-guided tour, a guided tour, or something in between, we’ll design a package to suit you. Depart when you want, go where you want to go and see what you want to see. If it’s your first time to travel to Japan, take a look at our Classic Explorer holiday packages or our Fully Escorted Japan Tours. If you’ve already been to Japan, or you’re looking for places which are new or different, our Central, East & North, West & South and Historic & Pilgrimage Walk Explorer holiday packages are made for you. Of course, all ‘Explorer’ packages can be combined with all, or parts of, others. We create custom Japan holiday packages to meet your needs. If it’s the first time for you to travel to Japan, these ‘Classic’ Japan holiday packages are made for you. 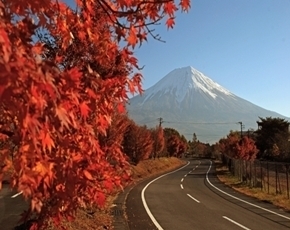 Visit all the must-see places as you travel along the classic route of Japan. Discover the hustle and bustle, but clockwork efficiency, of the mega-city Tokyo, ponder in the serenity of Kyoto and feel the power and emotions of Hiroshima. 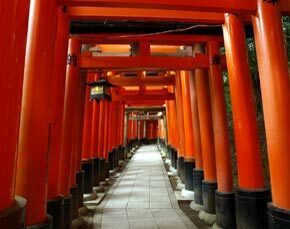 Find more of what should not be missed on a first visit to Japan and choose the way you would like to experience it. These packages focus on the central area of Japan. Discover the beautiful scenery of the Alpine Route between Nagano and Toyama, the magnificent Sea of Japan and cultural, historic towns such as Matsumoto, Kanazawa, Takayama and more. The Hokuriku Shinkansen has opened the door to highly efficient travel through this spectacular area. 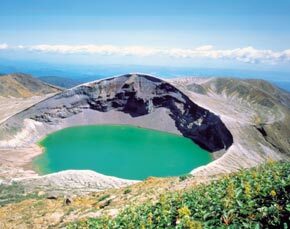 If you’re looking for your next Japan adventure, why don’t you visit the stunning nature in Tohoku or Hokkaido? 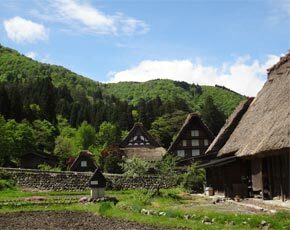 The north of Japan is full of historic buildings and secret, out-of-the-way places. The magnificent natural beauty has to be seen to be appreciated. Slow down and take your time. Discover your new favourite spot in Japan. These holiday packages cover a broad area from Kyoto, Nara, Osaka and the southern-most point of Honshu in Wakayama, to the smaller islands in the west – Shikoku and Kyushu. Explore some of the most breathtaking scenery in Japan. Visit the mythical town of Izumo and the unique Japanese garden museum in Shimane, wander through Japan’s idyllic scenery in Wakayama and Shikoku and revive in the amazing onsen (hot spring) towns in Kyushu. 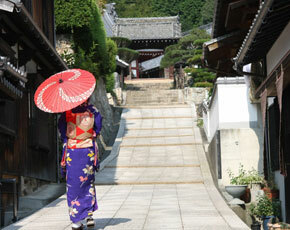 The quiet country towns echo in Japan’s charm. These Japan holiday packages allow you to travel in the footsteps of the original Buddhist monks, samurai warriors and emperors, while walking through sacred forests and villages. 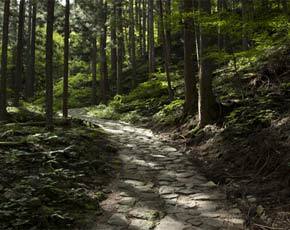 The Kumano-Kodo is a unique cluster of ancient sacred sites and pilgrimage routes in the Kii Mountains. 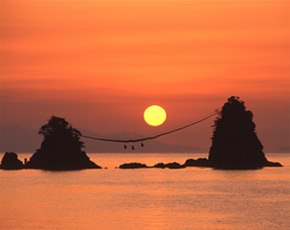 This World Heritage site is one of the most remote and mystical places in Japan. Tsumago and Magome are station towns with inns and accommodations along the old Nakasendo – the route which connected Tokyo and Kyoto in the Edo period. Step back in time with a visit to these historical towns. 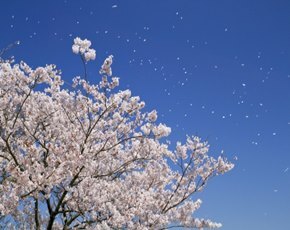 Cherry blossoms are one of the most iconic features of Japan. They mark the end of the cold winter and herald the start of spring. The beautiful, dainty and pale pink flowers are captivating to both the locals and visitors alike. You can only see cherry blossoms in spring so be sure to treasure every encounter with them and be intoxicated with the beauty of the cherry blossom. This is Mother Nature at her finest. Discover natural beauty as you travel to some of the renowned cherry blossom viewing locations with our cherry blossom Japan holiday packages. Japan’s coloured leaves mark the end of the hot and humid summer and the arrival of the pleasant climate of autumn. Autumn is Japan’s most colourful season, when the trees are exquisitely dressed in their gorgeous blazing reds, brilliant yellows and warm oranges. You can only see the coloured leaves in Japan from late September to mid-December. There’s no better place than Japan to view landscapes transformed into the vibrant colours of autumn. Our Autumn Leaves Japan holiday packages take you to Japan’s best sites where you can be part of nature’s masterpiece in a brilliant display of autumn colours. Japan is an interesting mix of bright, fast-paced cities and quiet historical villages, futuristic ideas combined with ancient tradition. What may seem overwhelming at first becomes a comfortable relaxed adventure as our fully escorted Japan package tours take the worry out of travelling. These packages take you to the best sites in Japan with an experienced guide by your side. Discover the secret powder snow. 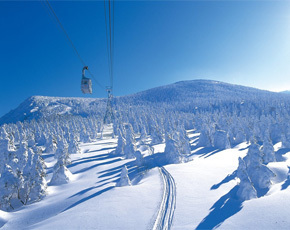 Japan has some of the world’s best snow and some world class resorts, but they are not only in Nagano and Hokkaido. You can also enjoy fantastic snow conditions in Niigata and Tohoku! With over 500 snow resorts to choose from, we provide individualised Japan holiday packages so you can lay down some fresh tracks. Can’t decide what you want to explore in Japan? Do you like nature, onsen, mountains or seas? Do you like small towns or big cities? Do you prefer ancient shrines and rituals or the latest tech and gadgets? Will you travel in spring, autumn, winter or summer? Each has its own beauty. 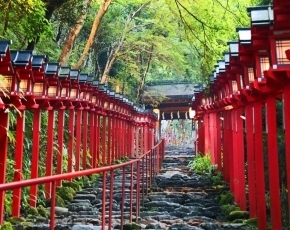 We can tailor our Japan holiday packages to create a unique travel plan to match your wishes.